I have a confession to make: I hate tights. I have an intense and eternal loathing for them. They ladder after wearing them more than twice (come on, it’s 2015 people, can’t we sort that out? ), they’re forever getting holes in the toes and tall girls like me can never find a pair that are long enough. Truth be told, I’ve never worn a pair of tights on a night out, even in the winter and as soon as it gets past May I feel they’re completely unnecessary. If, unlike me, you need a little persuading to opt for bare legs, I present to you ‘The Cheat’s Guide for Going without Tights’. 1: Face your fear of ‘milk bottle’ legs! After a cold Lancastrian winter of being bundled up in jeans and boots, our poor legs are going to be feeling pretty deficient in vitamin D. Rather than slathering our pasty legs in fake tan to bronze them up, why not embrace the paleness? It’s a lot cheaper than spending what precious remaining loan you have on fake tan and they do say it’s better to be pale and interesting. While I’m all in favour of marching down the spine, pale legs bare and blinding everyone in the sunlight, some people may be more nervous about exposing their legs for all to see. If you are more reserved about showing your legs without a good tan, a good piece of advice is to steer clear of other pale colours like white or cream, as they tend to wash out what little colour there is left in your skin. This is certainly not a fashion rule though, so if you want to show off your latest white crochet skirt with your English rose legs you go for it! If you’re not quite ready to bare all, why not go half way with knee high socks or boots? The weather is always unpredictable in Lancaster, so knee highs give that little safety blanket of knowing you won’t freeze if it rains and you can always take them off it it’s too hot. They also make an outfit look instantly more polished and thought out with no work. By matching black knee highs with a button up skirt you can effortlessly pull off this season’s 70s look like ASOS stylist Megan Ellaby. 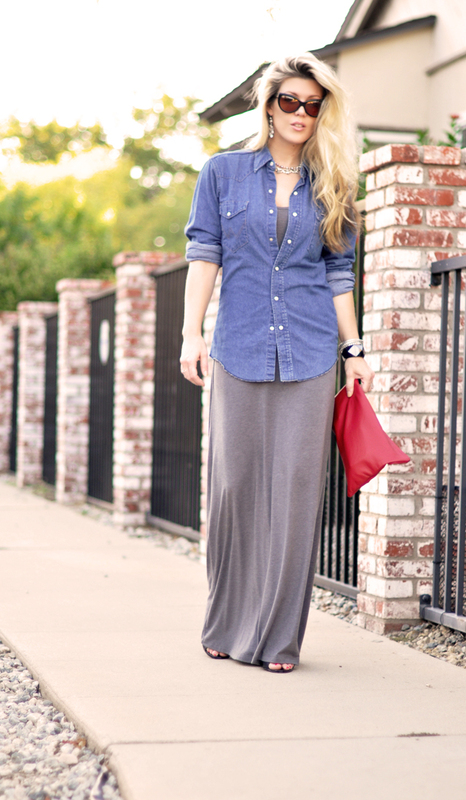 Although I am a die hard fan of the A-line skirt, I think a maxi skirt teamed with a laid back tee oozes effortless cool. Unfortunately, there doesn’t seem to be an abundance of maxi skirts available on the high street at the moment, so if it’s the feeling of wearing tights you dislike, why not reuse last season’s maxi? If you do want to show a bit of skin, you could opt for a side split maxi; they cover enough of your legs to save you from time consuming tanning, but bring your outfit into the summer season by exposing a bit of skin. ASOS have a really nice selection of full maxi skirts and side split maxis at the moment as well as Zara and Boohoo. Hopefully this quick cheat sheets helps all you brave souls ready to embrace the temperamental Lancaster weather and immerse yourselves in the world of bare legs. The Great Debate: Animal Testing? SCAN is Lancaster University’s student newspaper published fortnightly during term time by the Students’ Union.